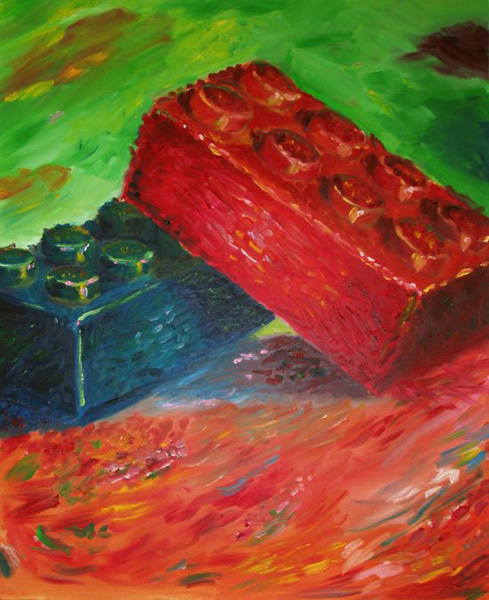 I am a big fan of the Lego brand and was inspired to created this when asked to to a still life in a painting class. In college I minored in advanced illustration so I enjoy using traditional media such as drawing, painting and sculpting as often as I can. Projects like this help inspire my design work even when I go to create a layout in InDesign or create a wireframe concept for a website.